The CDSBEO International Education Program offers global views and perspectives that enhance the education of students who have chosen to explore cultures and languages through education abroad. The International Student Program allows students from around the world to study and learn alongside Canadian students of the same age. The program encourages cultural awareness and international understanding by bringing students together and enabling them to experience similar social and academic opportunities. Since its inception in the spring of 2015, the program has continued to grow as the Board develops and grows relationships with new partners in existing and new countries. The development of relationships and partnerships are key to developing and supporting the program. 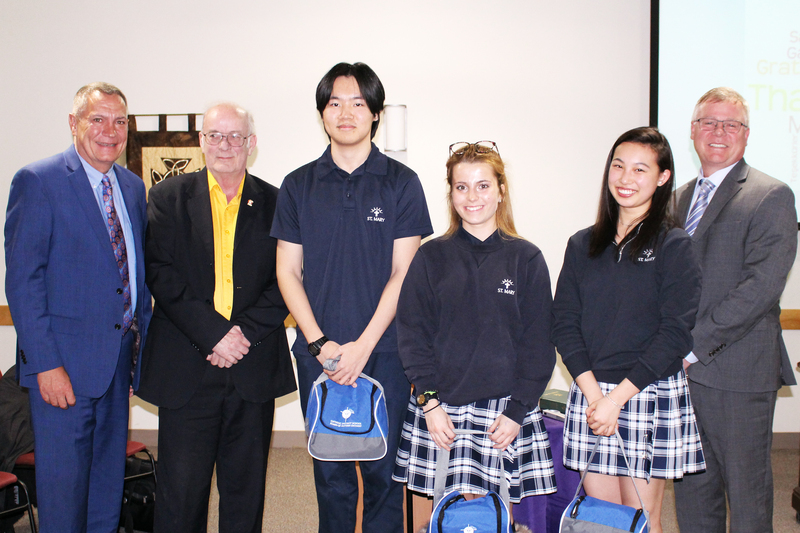 Dave Chaplin, Principal of St. James Catholic Education Centre and Head of International Education, presented information to the Board, along with three international students Urara Mori (Japan), Lorena Requeno (Spain), and Ken Fan (China), and St. Mary CHS Principal JP Elliott. Staff and students are very excited to welcome international students to their schools and communities. During the 2018-2019 school year, the CDSBEO hosted 134 students from abroad. This number is up from 93 students in 2017-2018. “When we first started we had some 20 students in 2015-2016. As we moved into 2016-2017 we moved up to almost 75 students, and for this year, we have nearly doubled this number,” noted Chaplin. Some of the programs born from the partnerships include the hosting of delegations, teacher training and summer cultural programs. In addition, the Board will be hosting 39 elementary students from China, at three schools in Brockville. The students will spend a week with CDSBEO students, and the principal of the school will also accompany the students, along with six chaperones. Other programs include a partnership a Chinese Kindergarten school, which would see Kindergarten students travel to Canada with a parent for one month, to attend Kindergarten in a CDSBEO school, and a second intermediate school education and cultural exchange program. Plans are also underway for a French six-week exchange program. “Developing strong partnerships are truly important in continuing to expand our international program,” noted Chaplin. Several international students who have been attending St. Mary Catholic High School in Brockville, shared their experiences of living and learning in Canada. 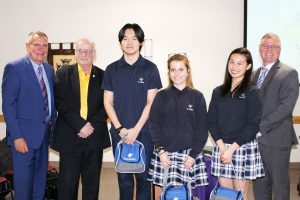 Ken Fan, who has attended St. Mary CHS for two years, discussed the differences between Canadian and Chinese education. “The excellent results we see in the program is directly connected to the enthusiasm you exude for the program, as well as that of the principals who welcome the students. You can’t put a price on that enthusiasm, and that is exactly what you always project whenever you speak to us, whenever you bring students here to share their story,” noted Vice-Chair Eamer. “We would like to thank you, Mr. Chaplin, for all of your work, and for establishing such an amazing program for our students, and in all the work you have done to grow this program to offer so many different facets and varying opportunities,” concluded Chair Todd Lalonde.